For SANA’s thirtieth edition the number of pavilions will increase to seven, with pavilions 21,22,31 and 32 dedicated to Organic Food, pavilions 25 and 26 for Natural and Organic Body Care, and pavilion 19 for Green Lifestyle. The coming edition will be building on the success of the 2017 event that involved 920 exhibitors (+10% compared with 2016) in 22,000m2 of exhibition space (+13%) , 70 appointments, such as conv entions, wor kshops and presentations and 2,5000 meetings planned between companies and international buyers arriving from 30 countries (+11%). Bologna – Set to return on Friday 7 September and preparing to celebrate its 30th anniversary, SANA, the international exhibition of natural and organic products, will be taking place until the following Mon day 10 September at the Bologna Exhibition Centre. SANA will be welcoming the leading players from the sector: producers and distributors as well as Italian and foreign buyers, European organisations and trade associations, plus local and national certification bodies. Organised by BolognaFiere – in collaboration with FederBio and with the support of the Ministry of the Environment and the Protection of the Territory and the Seas and the Minist ry for Agriculture, Food and Forestry – SANA is the annual reference event for the world of organic products, offering a platform for business and professional networking, a space for learning more and for growing the sector, an event rich in initiatives and committed to innovation. The innovation for this edition concerns, first of all, the layout of the event, which will occupy 7 pavilions, to welcome an the increasing number of exhibitors to the trade fair th at is a touchstone for a sector experiencing constant growth. The pavilions, all located on the ground floor, are accessible from two entrances that are open to the public: West Constitution and North Entrance , adjacent to the multi-storey car park. Pavilions 21, 22, 31 and 32 are dedicated to Organic Food and the presentation of fresh and packaged foods, dairy products, including cheeses and ice creams, foodstuffs including meat and fish, oils, pasta, rice, cereals, cakes and desserts as well as baked products, dietetic foods, honey and conserves, wines, drinks and much, much more as part of the Italian and International range of organic products to meet the demand of a sector that is becoming increasingly strategic for the Italian economy, which is already the leader in Europe for organic food production. According to the most recent data from Nomisma, domestic consumption generated 3.5 billion euros in 2017 (+15% on 2016) and exports are almost worth 2 billion euros, underlining Italy’s frontline role in the organic sector. 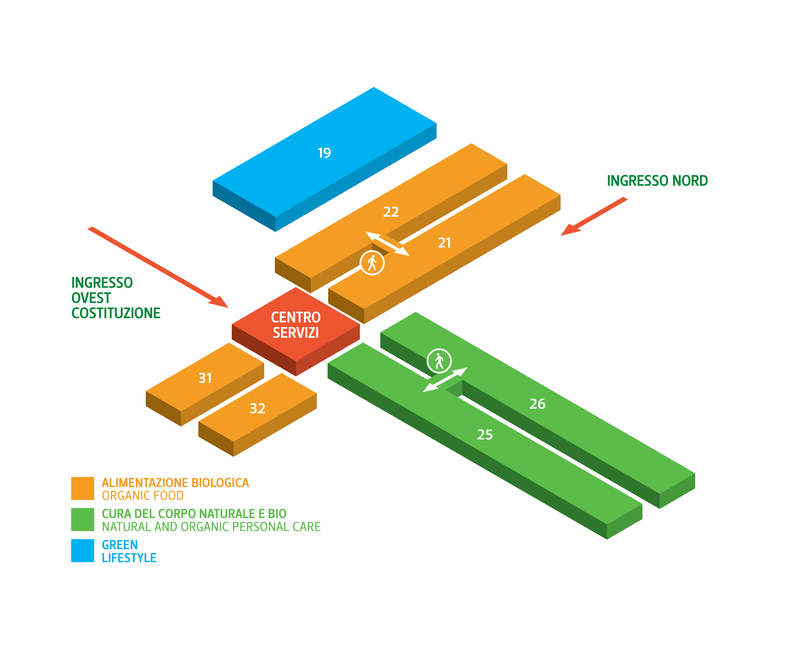 There will also be extra space dedicated – in pavilions 25 and 26 – to the sector of Natural and Organic Body Care which will offer the best of what is on offer in terms of natural and organic cosmetics, beauty and body care products, dietary supplements, and natural and organic products and services for personal care. Also confirmed is the Green Lifestyle area, which will be located for the first time in Pavilion 19 and divided into seven sub-sectors offering to those who lead (or who would like to lead) a healthy and ecological lifestyle, the very best of what this market has to offer. The section Home&Office is dedicated to eco-friendly solutions for the home and the workplace; Mom&Kids is for products for child rearing, play, care and clothing for children and mums, for pregnancy and for the first months of life, made with ecological, green ingredients and materials; Mobility is centred on new hybrid and electric vehicles and other innovations concerning sustainable mobility; Clothing&Textiles about clothes, shoes and accessories that are the latest trends in sustainable fashion; Pet&Garden is reserved for natural and eco-compatible products and services for food and care for animals, gardens, plants, terraces and private swimming pools; Hobby&Sport for green sports and pastimes; Travel&Wellness for eco-friendly travel, leisure and treatments for psychophysical wellbeing. 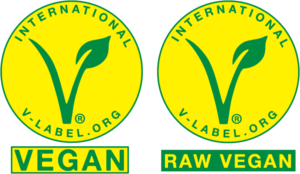 selection of organic and natural items from the exhibiting companies, while at VeganFest, organised in partnership with VEGANOK, there will be a diverse programme of tastings, conferences, cooking shows, vegan food and organic cosmetics. Further enhancing the 30th edition of SANA is a packed line up of initiatives that will accompany the fair event. SANA Novità is the exhibition dedicated to the latest innovations in Italian organic and natural production that the exhibitors have brought to the fair; the conventions SANA Academy to topics of current importance for professionals from the sector; the SANA Observatory will present the latest data from the organic sector, while the events and meetings of SANA City will transform the city of Bologna into a green microcosm.